For those of you who have been following my dog blog, you know I HATE winter, snow, and the cold. But I love Dexter The Dog, and he loves dog adventures, no matter what the weather. My brother moved to Cotton, Minnesota, just outside of Duluth, last year. Dexter and I have not been too far west, and my step-dad wanted to try a little ice-fishing, so off we went. Driving from Ohio to Minnesota the first weekend in March was a bit sketchy. We traveled in some scary wind and snow. Not a ton of snow, but enough snow and wind to create white-out conditions during our drive. But my step-dad is a trooper when it comes to road trips, so we did just fine. Slow and steady. My brother lives in a small cabin in Cotton, Minnesota on Lake Elora. This was the perfect place to call home for an extended weekend. My brother and step-dad, Ed, were able to go out on the lake for daily ice-fishing. Unfortunately, they were not too successful in their catches, but they did have a great time! 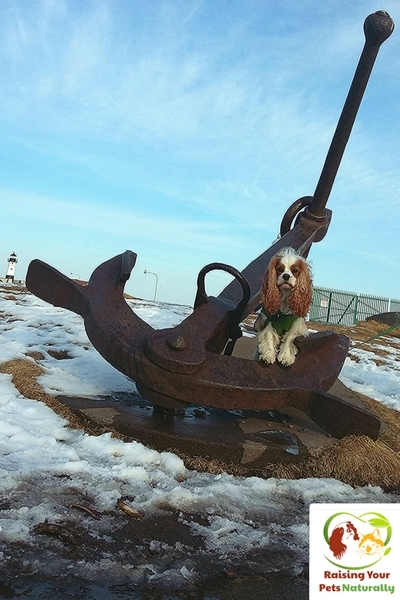 Throughout the weekend, we had a few dog-friendly day-trips to Duluth. 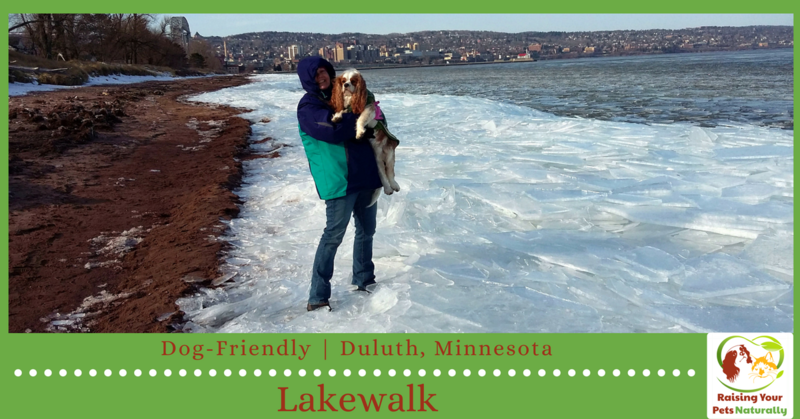 Today, I want to share with you our day on the Duluth Lakewalk. This was one of our favorite days in Duluth. The Lakewalk, sometimes referred to as the Boardwalk, offers a scenic path around Lake Superior for walking, running, rollerblading, or biking. Duluth Lakewalk has a dual path to accommodate everyone. One path is paved and one is a nice boardwalk, which I found very helpful. Since Dexter cannot walk for long periods, I have to pop him in his dog stroller for rest times. Admittedly, we did not walk the entire three-mile walk, which runs from Bayfront Park to London Road, on the northeast side of town. After all, it was cold! It was a great walk and watching the waves crush developing ice around the shorelines was breathtaking. 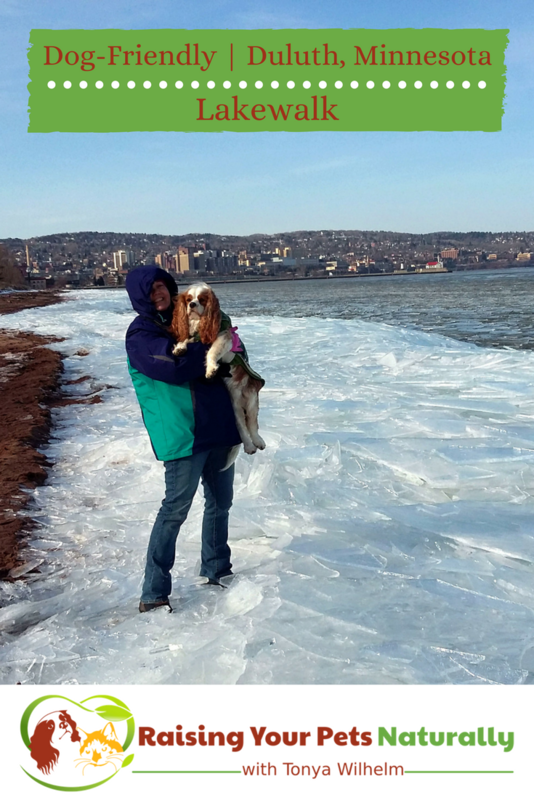 I had to hold Dexter back because he wanted to dip his toes in Lake Superior. Sorry, Dexter—not on this trip! Even though there was snow and slush around, I could tell the grounds were well-maintained, with a variety of fun sculptures and landmarks for photo opportunities. Dexter and I love our photo ops. Okay, him, not so much. The Lakewalk takes you through a variety of Duluth attractions, including the Duluth Aerial Lift Bridge, Lake Superior Marine Museum, and Canal Park. The walk also provided easy access to restaurants, cafes, pubs, and restrooms, but it did not have a commercial feel—it was very pleasant and relaxing. There were also plenty of park benches and even poop stations. This made the Lakewalk a great dog-friendly park. The Duluth Lakewalk is such a great opportunity to access both Lake Superior and historical attractions, it’s a must-do. 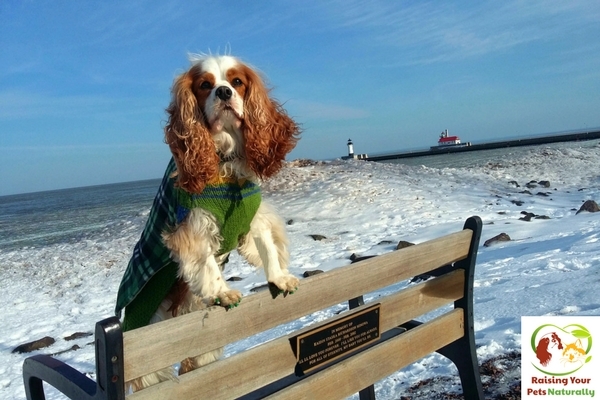 I am happy to say that the family will be back in July, and I can’t wait to take Dexter back to the Duluth Lakewalk! Where is your favorite pet vacation spot? Tell me in the comments. 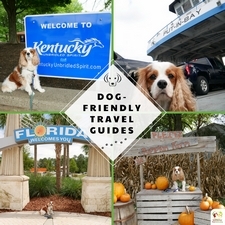 I love seeing all of the dog friendly places to travel. My parents RV and always take their dog with them, so this is something they would love to see! Thanks, Jessi. I want to rent an RV in 2020. It looks like so much fun. This is so amazing! I have never seen a frozen lake. I can’t believe you’re standing on one. It never gets that cold where I live. 🙂 Just the edge. Although, my brother does do ice fishing in the area. Dexter looks adorable in the pics. He seems so comfortable posing for the photographs. 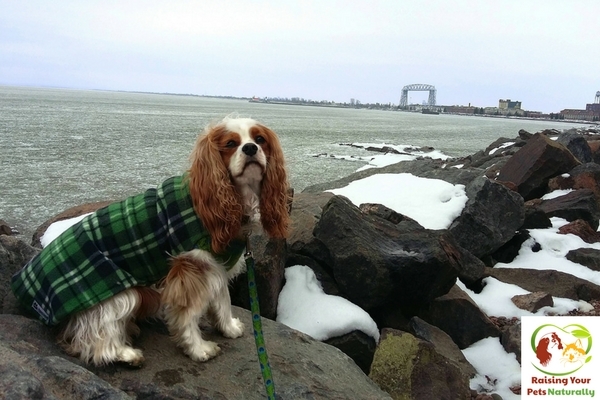 It was fun reading your post on Duluth Lakewalk. Your dog seriously couldn’t be any cuter! I love that so many places are becoming more dog-friendly lately. What a fun blog, looking forward to seeing more from you. Oh my heart. I have a Tri Cavalier. I love trips that I can take him on. Hi, Jolie. Tris are adorable. Glad to have you along. It’s nice to know there are things to do there that are pet-friendly. We are getting a dog this month and can’t wait to do things with him/her. My dog passed away a few months ago, but would have love to take her on a doggy vacation. I am a Minnesotan, born and raised! 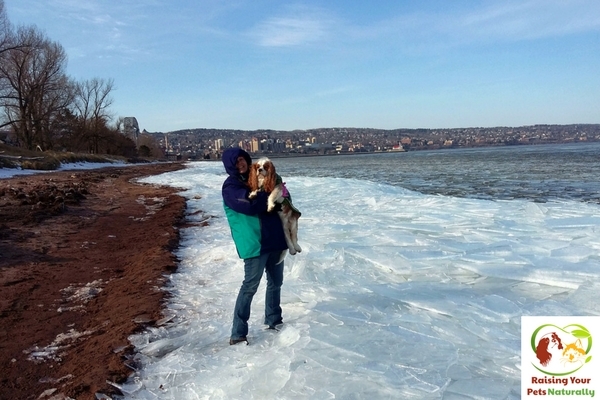 I am so happy that you and Dexter enjoyed Duluth! I am also happy to know that it is dog friendly! You betcha! We had such a great time in Duluth. 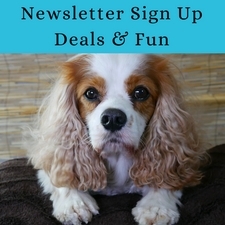 Very dog-friendly and so many things to see and do. Cute dog and nice pic! This place looks like a fun place to visit. I don’t have a pet but I like the sound of historic attractions at Duluth. Duluth is an amazing destination. You should visit. That’s so nice you take the time to go on outdoor adventures with your dog, even during your least favourite season. I am loving all those pictures! Thanks. Yes, I’m not a snow gal, but Dexter sure does love the cooler weather and is always up for an adventure. Love this story. This will be love especially those who have no time in keeping their dogs at home while traveling. Nice story. Thanks. I always travel with Dexter. We have a great time. I’d be lost without him. Great to have dog-friendly places. One of the reasons that stops us from getting a dog is the fact that places do not allow pets. And it would break our hearts if we leave the pet behind. It’s something to always consider. 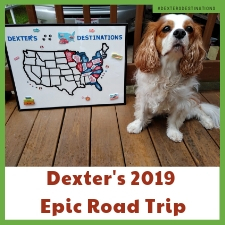 But, I travel monthly with Dexter and we always find great adventures. I love places that are dog-friendly. 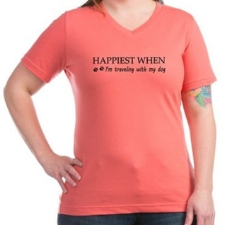 It helps with traveling with our girl. She loves to explore. Me too. Exploring dogs are the best. I hadn’t thought of it because we have a cat. We leave her home and my sister comes to feed and spend time with her each day while we’re gone. If it was a dog I’d want to bring it along. They seem to get lonlier than cats do. Though our cat is always happy to see us when we return. Cats are amazing. I’ve actually seen a few traveling cats. So fun. My dogs would get a kick out of this I’m sure. I love dog friendly areas because it always breaks my heart to leave my fur kids at home. I have to say though – I was scared of the photo of you on the ice. It looked like you could fall through and into water. YIPE! Ya, we were only about 12″ from the shore and it wasn’t deep. But, won’t now I know more about shelf ice, so I won’t be doing that again. 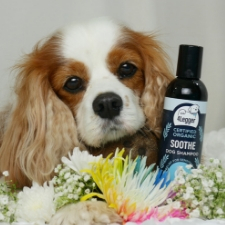 Your dog is quite the model! How cute!! If you want to travel with your dog, I think there’s no better place than Colorado. The trails there are filled with hikers and their adventure dogs. Ohh, this is so nice and heartwarming. Indeed such a great place to go on vacation together with our furr babies. 🙂 We had such a great visit. Thank you. What a great article. It is so nice to see places where it can be nice to take your pet. Thank you. We really enjoy traveling with Dexter. I bet it was a fun trip! He is so adorable and photogenic! Love the photos. Thanks. We had such a great trip in Duluth. Your dog is adorable. And I hate the cold too, but I really admire that you love your dog so much you are willing to brave the elements. <3 Thanks, Stacey. Life is too short to miss 1/2 of it because of weather. What a beautiful spot in the world! Your dog is just adorable! Thank you! Minnesota is an amazing destination!